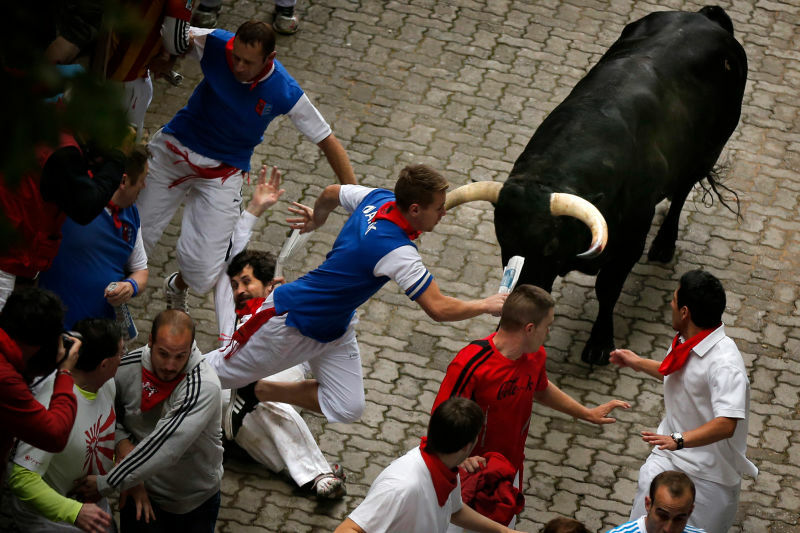 The guy on the ground in the Associated Press photo above is Bill Hillman, 35, of Chicago, who for more than a decade has run with the bulls in Pamplona, Spain, and just last month helped write the book on how to survive the ritual. 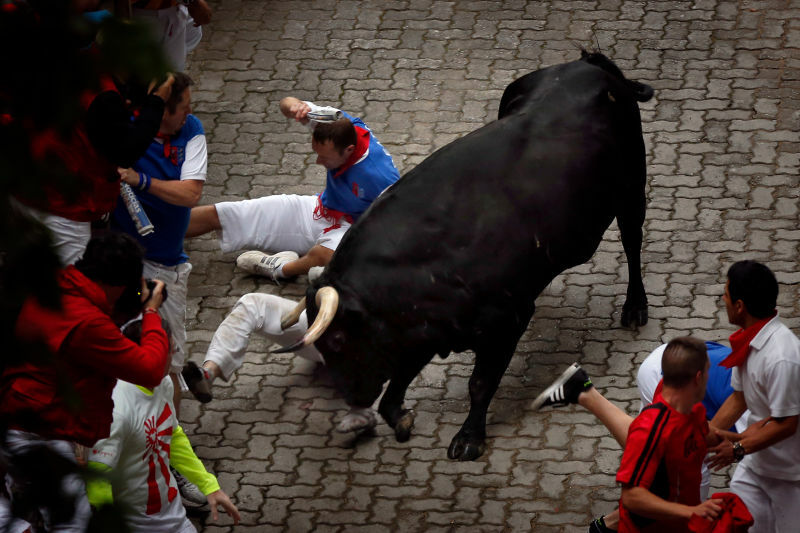 Yesterday, the bull won. But it's not as bad as it looks! Hillman suffered two gorings, both to his right thigh. The medical report states that there is "a wound to his interior lower right thigh in the distal area near to his knee and another wound in the interior face of the lower thigh. The nerve area is not affected." 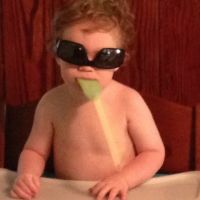 His condition is said to be "not serious." Sanfermin.com also includes a few ground-level photos of the goring, as well as a pic of Hillman giving a thumbs-up from his hospital bed. All's well that ends well, I suppose, though Hillman probably should've thought twice after posting on Facebook about difficulties in his trip to Spain just two days before the goring. "Lost my passport, laptop, medication and Gohonzon all in one move!" he wrote, referring to his Buddhist talisman. "This will be an interesting trip!"